Rustie isn't new to the scene, he's had tracks appearing in various mixes and compilations for a while (notably, in mixes and compilations from Mary Anne Hobbs, Modeselektor, Ninja Tune, and Hyperdub), and it's about time we finally saw him release a full LP. I can't say I'm at all disappointed by the long-anticipated Glass Swords, released October 11 on Warp Records (the beloved independent label whose roster includes Autechre, Flying Lotus, Squarepusher, Surgeon, Bibio, Eskmo, and many more). 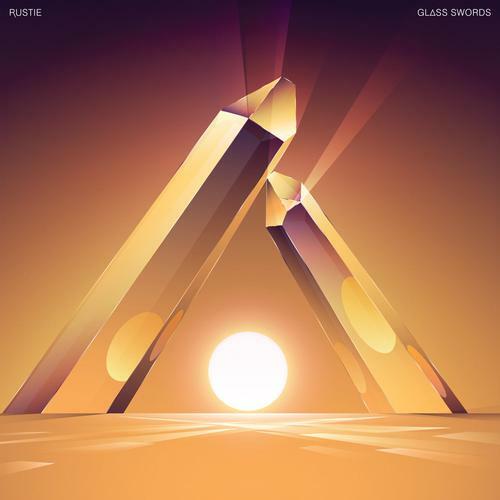 Although Rustie is often sorted alongside dubstep or grime artists, Glass Swords defies classification. This is not a dubstep album, at all, so if you're looking for that, you won't be happy. Actually, that's not true, I think you'd probably forget all about dubstep, because here, Rustie crafts exactly what *I* want "post-dubstep" to be: it takes bass music in a million (okay, 13) different directions and changes pace constantly, but nothing feels out of place or forced. It's all effortlessly good. This album is big, not subtle, and it could be cheesy, but it's done well enough that it's not, and good balance within and between tracks keeps it flowing as a whole or as a DJ set highlight. At the moment, I think it's too soon to try to pick favorites within this album. I just want to listen to Rustie's rich tones and wide influences (his loves range from obscure Japanese prog-rock to 16-bit video game sonics to icy grime to Detroit techno) and take it in over and over again. If you like Zomby, Hudson Mohawke, or similar artists working creatively under the bass music umbrella, you'll like this. Anyway, this is science fiction gone rave-wave and it's pretty monumental. It's a complex album that's simple enough to be appreciated on listen one, but also calls for repeat after repeat.